"Chilly Billy" Cardille, an institution on Pittsburgh television and longtime host of "Studio Wrestling," passed away at 1:15 a.m. today at his home in McCandless, PA.
Cardille, who was 87, had been diagnosed with liver cancer and in recent weeks had received a good amount of recognition and fanfare when the news had gotten out. Cardille had received thousands of letters and cards in the mail over the last few weeks from residents of the Pittsburgh area who remembered him from both "Chiller Theater" and from pro wrestling. Bruno Sammartino, who counted Cardille as one of his good friends, had done local media shortly after the word got out on June 24. 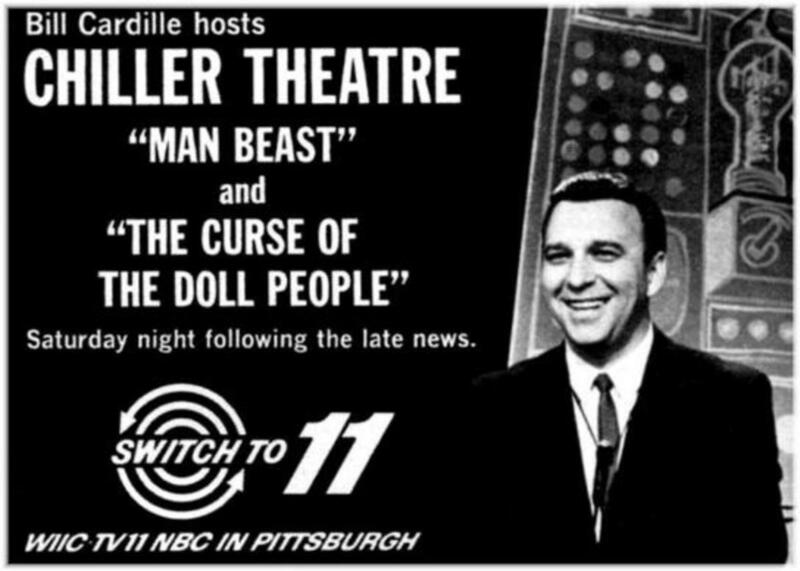 Cardille was still well remembered even though Studio Wrestling's run in Pittsburgh ran from 1959 to 1974 and Chiller Theater aired from 1963 to 1984. The show was the key in building Pittsburgh from a dead wrestling market in the late 50s to a hotbed in the early 60s where big matches involving Bruno Sammartino and The Crusher in the early 60s had to be moved outdoors to Forbes Field. Cardille also was the lead announcer for one of Vince McMahon Sr.'s syndicated television shows until he was replaced by Vince's son, the current Vincent Kennedy McMahon. In 1957, when WIIC went on the air in Pittsburgh, Cardille's voice was the first thing heard on the station.